Wader Quest: Voting starts today in New Zealand for Bird of the Year! 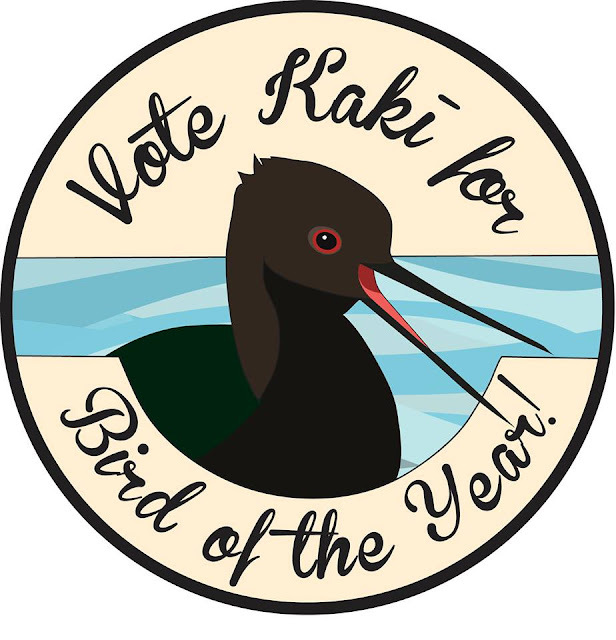 Voting starts today in New Zealand for Bird of the Year! 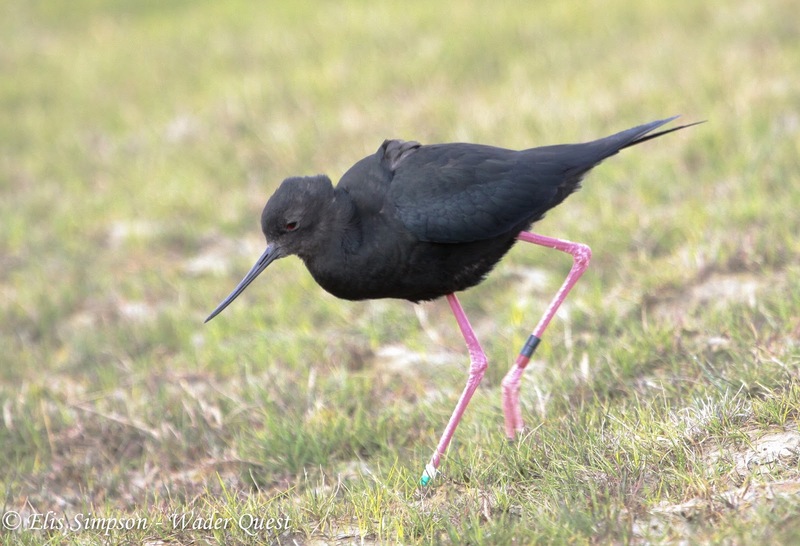 We have agreed to help to support the motion to get the Black Stilt or kakī elected New Zealand's Bird of the Year. There are a number of birds from different families in the line up and at the moment the wonderful kakī is languishing in fourth place behind two non-wader species. It would be fantastic if a wader could win this year's Bird of the Year again after the Bar-tailed Godwit clinched it last year, especially one as intriguing, threatened and downright beautiful as the kakī. The New Zealanders love the All Blacks, so surely this all-black bird must be the choice of the nation. I am a post graduate student at the University of Canterbury where I study the black stilt (kakī). #TeamKakī is a group of devoted kakī enthusiasts and researchers who are hopeful to raise awareness of the amazing kakī through Bird of the Year. This beautiful, all black wading bird can only be found on the Mackenzie Basin of the South Island. There are less than 100 kakī left, which highlights the importance of raising awareness of this charismatic bird on a national and global stage. We will work our hardest to see that kakī is the #BirdOfTheYear!